Echo Spot is designed to fit anywhere in your home. 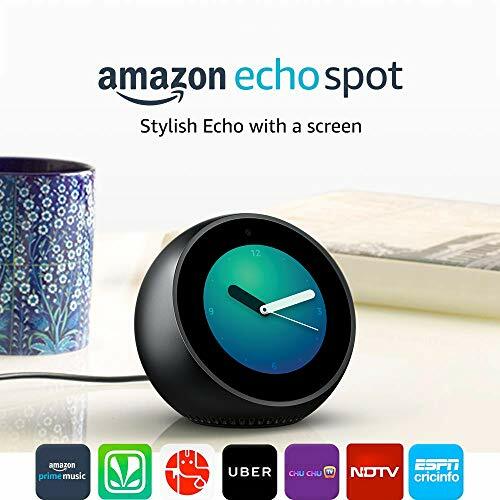 The compact size and viewing angle of the screen make Echo Spot ideal for use on a bedside table or a desk. Control Echo Spot using just your voice. 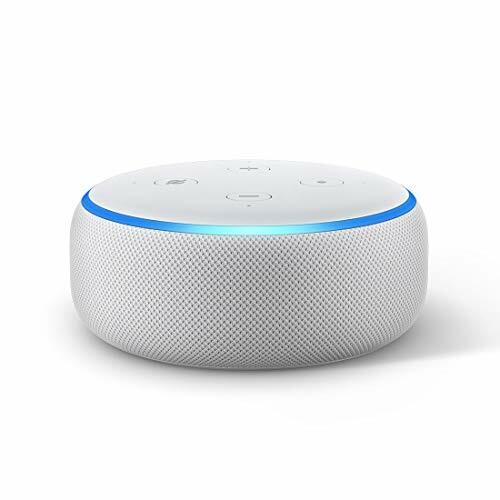 It connects to Alexa – a cloud-based voice service that is always getting smarter. Dim the bedroom lights, wake up to music of your choice, catch up on news bulletins & horoscope, and turn on the geyser without getting up from bed. All hands-free – just ask Alexa. Note: needs compatible smart lights and plugs. Echo Spot is an all-new stylish Echo device that can show you things. Just ask to see the weather, watch news bulletins, set an alarm, play music, watch videos, check out your calendar, and more. Personalize your Spot with a collection of clock faces to suit your style or set your favorite photo as the background. 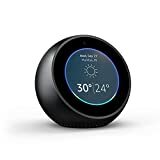 Make video calls to anyone with an Echo Spot or the Alexa App. 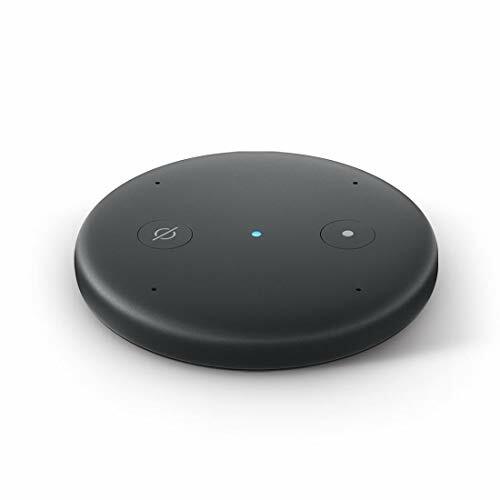 Echo Spot can hear you from across the room, even in noisy environments, or while playing music as it has four microphones that use beam-forming technology and enhanced noise cancellation. When you want to use Echo Spot, simply say the wake word “Alexa” and it responds instantly. 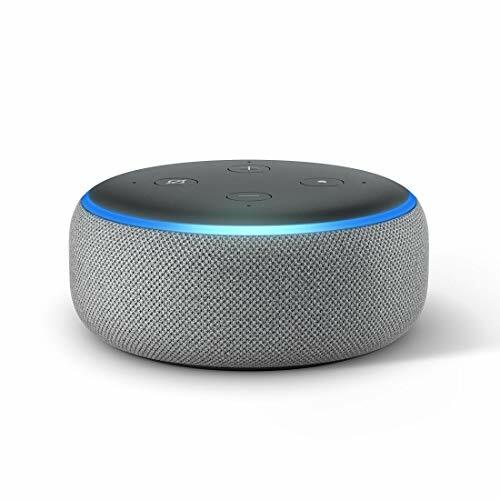 If you have more than one Echo, Alexa responds intelligently from the Echo you’re closest to with ESP (Echo Spatial Perception). Personalize your Spot with a collection of clock faces to suit your style or set a custom photo background. Connect to Facebook to relive your photos. Voice-control your music: Stream music from Amazon Prime Music, Saavn, Hungama, Gaana or TuneIn. 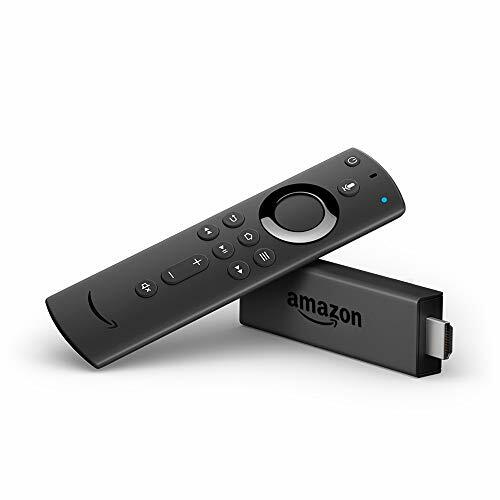 Just ask for a song, artist, album or genre and use either the built-in speaker or connect to external speakers through Bluetooth or 3.5mm stereo. Alexa is always getting smarter and adding new features and skills. Just ask Alexa for Sadhguru meditations, request a ride from Ola, play nursery rhymes from Chu Chu TV, and more.